Healthcare Politics, Glutathione and the Flat Earth Paradox. What is the Flat Earth Paradox Connection? Healthcare politics is often bound by the myth of the flat earth thinking. Even with over 100,000 studies showing benefits, there is still limited use of cysteine for building glutathione (GSH) by the healthcare profession. The thinking of those who refuse to consider the evidence is similar to those who continue to believe that people in the dark ages believed the earth was flat. They did not. They knew it was round because the Bible said so. The thinking that people in the dark ages thought that Earth was flat, was, in effect, a global urban legend. We call this thinking the Flat Earth Paradox. The flat Earth Paradox and healthcare politics have a lot in common. 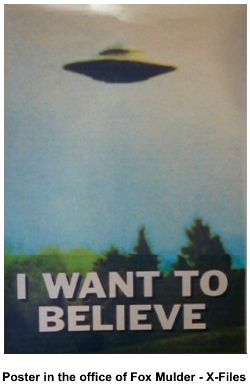 Asking health care to accept alternatives is like asking them to believe in flying saucers. The flat Earth concept or more accurately, the 'Myth of the Flat Earth' (conceptions of a flat Earth actually did exist in ancient Babylon, Egypt, pre-Classical Greece and pre-17th century China) illustrates how mankind limits their thinking ability and structures their beliefs on what they hear and believe, not necessarily science. This kind of thinking influences healthcare politics. "On average...around 2% of scientists admitted they had "fabricated" (made up), "falsified" or "altered" data to "improve the outcome" at least once, and up to 34% admitted to other questionable research practices including "failing to present data that contradict one's own previous research" and "dropping observations or data points from analyses based on a gut feeling that they were inaccurate." In surveys that asked about the behavior of colleagues, 14% knew someone who had fabricated, falsified or altered data, and up to 72% knew someone who had committed other questionable research practices. The research suggested that this practice of fraud is particularly high in the medical research field. So we live in a world where the evidence based medicine we look to as if it is a god, is in fact, up to 72% questionable, and bought and paid for by an industry that has a bias in favorable outcomes (read profits) and not in improving health. And then it is approved by a government agency that is paid to allow it to be sold by the very people who paid for the research results. The government, who is supposed to be watching for our best interest, is in a very lucrative position. Before looking at the Flat Earth Paradox, consider what GSH is. Your good health is dependent on GSH levels. A number of the studies previously mentioned have found a commonality when the human body is in a disease state. Many conditions and diseases are associated with low cysteine and glutathione levels otherwise known as ‘Low CG Syndrome. Glutathione is the body’s master antioxidant. What this means is that any antioxidant we supplement our body with will only be effective if our level of glutathione is sufficient. Reports in the media point to numerous ‘benefits’ relating to glutathione and cysteine. The only thing, research indicates that you cannot benefit from just taking GSH. The only way to boost the GSH in your body is to provide the building blocks in the diet to help your body make it. Dr. Luc Montignier, who was awarded the 2008 Nobel Prize in Medicine, has drawn attention to the promising benefits of glutathione boosting supplements in treating AIDS. At this writing there are several products that claim to boost glutathione levels in North America and a few in Europe. Elevating intracellular glutathione has been associated with successfully treating numerous diseases. This elevation is accomplished by taking in the foods or supplements that provide the building blocks, chief of which is cysteine. Some benefit has been found by taking the co-factors of glutathione. What are cysteine and glutathione? What are their functions? Since they are associated with successfully treating diseases like HIV, AIDS, mesothelioma, Stage IV lung cancer and autism, why have few heard of them? Even more importantly, one study in it was found that taking unprocessed sea salt and increasing water intake resulted in increasing glutathione. This is a simple, free, easy way to improve health. It is the oral version of a saline IV. Yet, we are encouraged to eat less salt rather than drink more water. Our health care system is profit driven. The flat earth paradox can explain why glutathione and cysteine are not as common as the word cholesterol is today. It also explains why healthcare politics has not considered it as a modality. Were you taught that in addition to sailing the ocean blue in 1492, Columbus also established that the earth was not flat? Throughout the 20th century, the majority of us believed in this myth. It is actually a myth that men in the dark ages thought that the earth was flat. The fact is, that is not true. They knew the earth was round. The ancient Hebrews of the Bible knew the Earth to be a sphere. Yet Columbus faced a daunting task to convince everyone he was not going to sale off the edge of the earth. At least that was the belief about the 19th century, thanks to Washington Irving's fantasy, The Life and Voyages of Christopher Columbus, published in 1828. So either the myth (Irving's fiction), belief in the myth (as we did last century), or lack of knowledge of what people held as truth is really a myth (ignorance that it was an urban legend on a global scale) all illustrate a paradox. In spite of the evidence to the contrary, people believed what they believed for various reasons. Even if it was for a lack of accurate knowledge and or even if there was science to back it up, they still believed the people of the Dark Ages believed that the earth was flat. Why? Because that is what everyone else believes. So, if you were taught in school that people living in the time of Christopher Columbus believed that the earth was flat, you believed it, even though it was untrue. Even though this teaching and belief was based on a fiction that has become a global legend (Urban legend on a global scale). And even though you studied the same Philosophy 101 where you read about the philosophers who knew the earth was round, you believed because this is what you were taught. Even if you were one of the perhaps few, who took a Bible as literature or some such class, and you read that people in the Bible knew the Earth was round based on popular scriptures, you believed the earth was flat because this is what you were taught. You were taught to be like those teaching the global legend, the fiction proposed by Washington Irving, the teaching of the Flat Earth Myth. You believed because they believed as did everyone else. They are Flat-earthers. The Flat-earthers did not go away. Move into the future about 300 years. From the year 1747 until 1795 Dr. James Lind with super human effort worked to overcome the flat earth paradox of his time. The prejudice and antipathy of the political establishment was reluctant to consider anything other than what they believed to be true. With the first clinical trial ever in medicine, he proved that scurvy could not only be treated, but could be prevented with raw lemons. Some wanting to hold on to their flat earth like beliefs cooked the lemons and with the subsequent failure said, "...see, they do not work." Even though he had scientific proof, it still took years to change the thinking of the establishment. It almost cost Dr. Lind his career as a doctor. He persisted and persevered. Once the trial was repeated, using raw limes (thus the name Limey for the sailors of the time) the truth became known and thinking changed. What about today? Healthcare politics is often the reason scientific application lags behind scientific research. Where you find a lack of forward momentum, you will find flat-earthers. You will stumble across them everywhere. Just ask your doctor what he thinks about Bloodless Medicine and Surgery (doing major surgery such as liver transplants with out blood transfusions). If he says he does not 'believe in' them, then he is a flat-earther. First, bloodless medicine is a science, not a religion. Thousands of medical journal articles... no, tens of thousands of high level studies have demonstrated and proved that blood does not necessarily save lives. Now why would a doctor not believe in a medical modality where there is proof that it saves live, improves outcomes and is cheaper and safer than the current thinking. Or, is the Earth really and truly flat and the sphere theory in reality a giant con perpetuated by the same scientists who perpetuated the other great scientific frauds like Piltdown Man being the missing link. Flat-earthers are everywhere. They are especially notable in healthcare politics. You can find them in our most intelligent leaders in both health care, science and politics. Yet there are forward thinking mythical Columbus's and Eratosthenes who can see beyond the health care horizon. One method of boosting GSH has been scientifically proven and is currently medically approved. It is even listed in the Physicians Desk Reference. Interestingly, it is the only listing that prestigious book that is a food supplement, not a drug. The best way to boost GSH in the body comes from foods and natural supplements. Although there is no high level studies proving it yet, the cure for many diseases and conditions that afflict man may be found in simply eating a healthy diet of both uncooked vegetables and fruits and some cooked vegetables and fruits. Anecdotal evidence is pointing to this. Simply using Black Strap Molasses, Peanut butter and a hand full of vitamins and minerals, some clinicians are boosting blood counts. This is with out blood transfusions, with out expensive drug therapies. And it works safely and effectively. Health care politics aside, the next time you think of Columbus, those who thought the earth was flat, those who do not know that it was only a myth or do not want to know, remember that you have a choice. Will future history can look at you as being among those who held on to the myth of the flat Earth thinking? Or will you be one spoken of as one of those who can see beyond the horizon, on the far side of healthcare politics, farther than the frontiers of knowledge, past the Flat Earth Paradox? If you look carefully, there on the horizon of the future, you might just see it, the cure for diseases and conditions. A cure that may not involve drugs and supplements. A cure that comes from decreasing the poisons we consume in our diet and eating a healthy balanced diet that provides essential nutrients to promote health. Keep looking, you may just see in the future, that boosting things like our glutathione may become known as the glutathione disease cure. There is another side to the health care politics. It is a conspiracy that has existed at least since the days of Dr. Lind. Note that this conspiracy was shared with the US congress on the congressional record. Here is a peek. How do I Boost my Glutathione?